The term superfood kind of bugs me. It seems like a trendy buzzword used to market acai berry smoothies. But the fact is that some foods pack an extra nutrient punch, and we should include those foods daily as an accompaniment to meals, as snacks, or incorporated into meals. We’ve all heard that berries, salmon, walnuts, avocados, kale and coconut oil are superfoods. These foods are high in antioxidants to combat disease and aging, and they contain the cardio-protective good fats. I’m going to share some truly nutrient-dense foods that are flying under the radar and a few tips on how to incorporate them into meals. 1. gelatin. I’ve written before about the benefits of gelatin, and I use it frequently in smoothies and for puddings and snacks. Since I started using it, my hair (which had started to thin last year because of thyroid hormone imbalance) and nails grow like crazy. It’s rich in collagen that helps joints and skin health, and it’s a good source of amino acids. 2. raw kraut/cultured vegetables. The enzymes and immune-boosting probiotics that form as a result of fermenting veggies are incredibly beneficial for health and digestion. Because the majority of your immune system is in your gut, healthy gut = better immune function. And good flora from probiotics = better digestion. Enzymes enhance digestion. 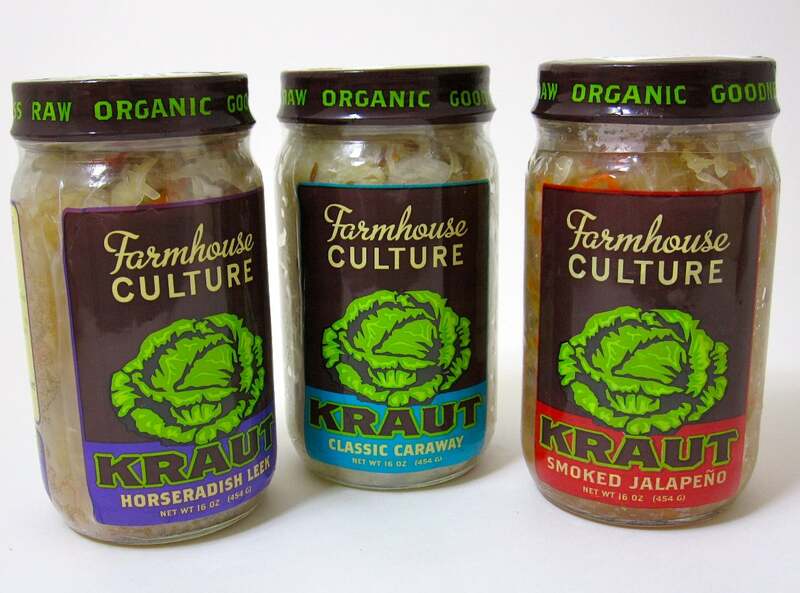 Raw kraut also a source of the cancer-protective vitamin K2 that is so scare in modern diets. Raw kraut is full of win. 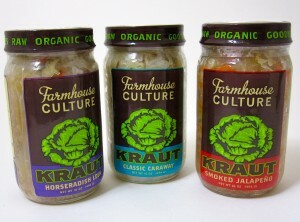 I like Farmhouse Cultures brand, but you could easily make it on your own. Most is made with cabbage as a base, but If you’re worried about the goitrogenic effects, use shredded carrots, beets and ginger (great for your liver, too) or click here for a great recipe. 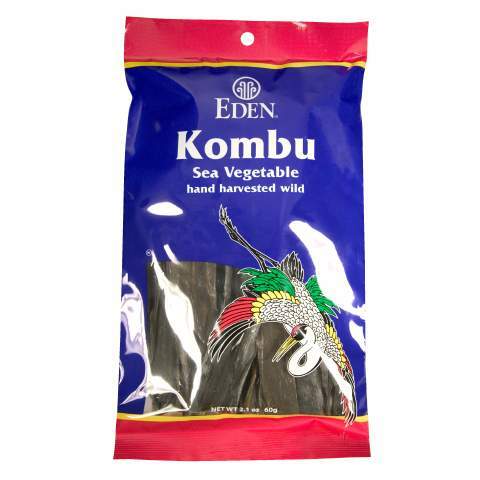 3. sea vegetables. Here in Northern California, it’s easy to get freshly harvested kelp and other sea vegetables from Mendocino. 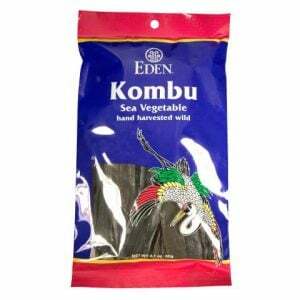 Sea veggies are most commonly found wrapped around your sushi or in your seaweed salad: nori, wakame, kelp, kombu, hijiki, for example. High in trace minerals and iodine, sea veggies are good for thyroid function. You can get dulse flakes to shake on salads; add kombu strips to soups & stews; or wrap up smoked salmon in nori sheets with avocado for a quick, paleo snack. 4. turmeric root. One of my faves. This stuff is a potent antioxidant and cleanser. It’s what gives curry its yellow hue, and the curcumin in turmeric is anti-inflammatory. This is my favorite recipe that uses turmeric. You can also make a warm coconut milk drink with turmeric– it’s said to improve allergies. 5. fermented cod liver oil. Before you say “gross,” hear me out. Fermented cod liver oil has been prepared traditionally–meaning cold processed– is a rich source of bioavailable (easy to absorb) vitamins A, D, K2, E and omega 3 fatty acids. It’s not heavily processed like most fish oils on the market. Rosita is a good brand. 6. apple cider vinegar. ACV has many benefits, from digestive aid to skin toner (dilute with water if you use it on skin) to hair cleanser. It’s a good detoxifier, and a shot in the afternoon provides a good alkalizing boost. 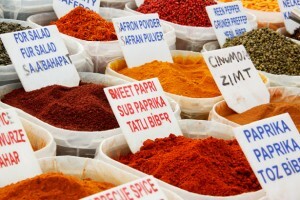 7. herbs & spices. Your spice cabinet is chock full of spices with amazing benefits. Cinnamon balances blood sugar and may remove cholesterol deposits; oregano is anti-fungal; rosemary contains carnosol which fights cancer; cayenne burns fat and can reduce arthritis pain. Herbs such as cilantro, garlic and ginger are cleansing. Cilantro even chelates heavy metals from the body! 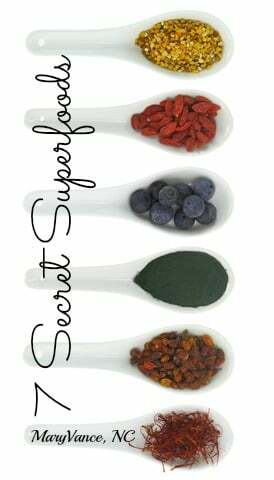 Ahh, fave super foods for me include spirulina (immediately enlivens me!) ~ chia seeds ~ hemp seeds ~ fantastic fish oil made from anchovies and sardines ~ grassfed butter ~ dulse ~ turmeric ~ and tulsi licorice tea. Along with all the others you’ve mentioned here! Love your info, Mary! Do you mix anything to the apple cider vinegar, I heard it will burn your throat if you drink it straight up? Thank you for your time.